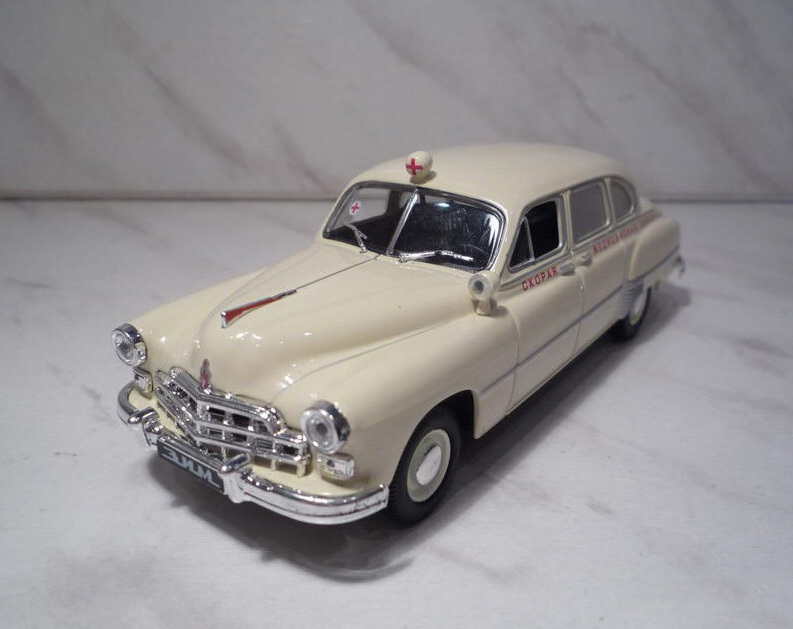 4 and 5-door ambulance versions GAZ-12B (ГАЗ-12Б) were also produced from 1951 till 1960. A phaeton version existed, only three pieces were built between 1949 and 1951 for the government elite. At least three ZIM cars have been rebuilt for usage on narrow gauge railways. Two of them are still in use. 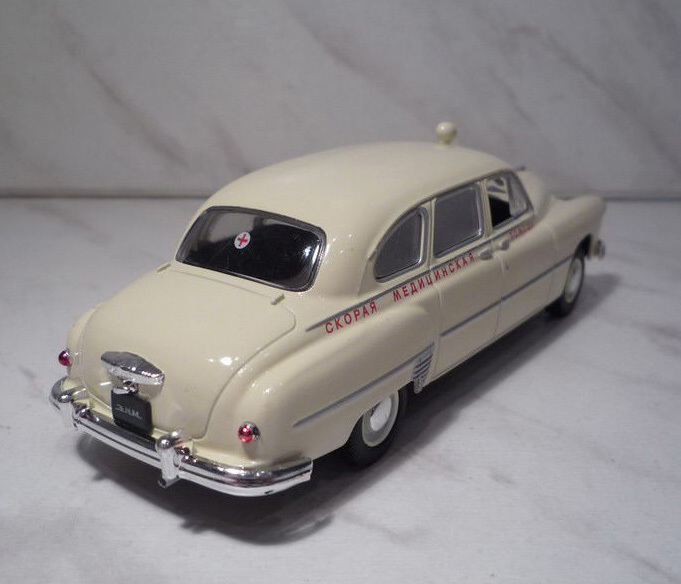 Amount of cars produced was 21 527 pcs (all modifications). 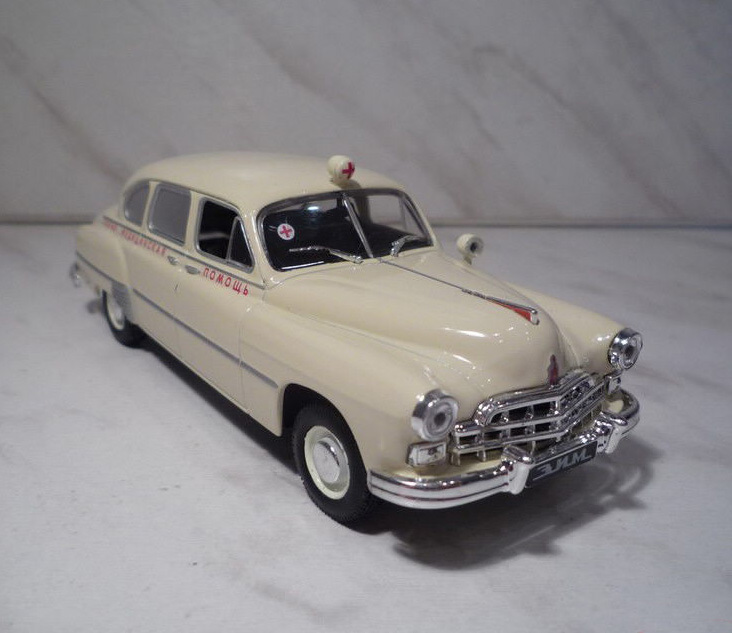 GAZ M-12B - ambulance version, produced from 1951 to 1960. 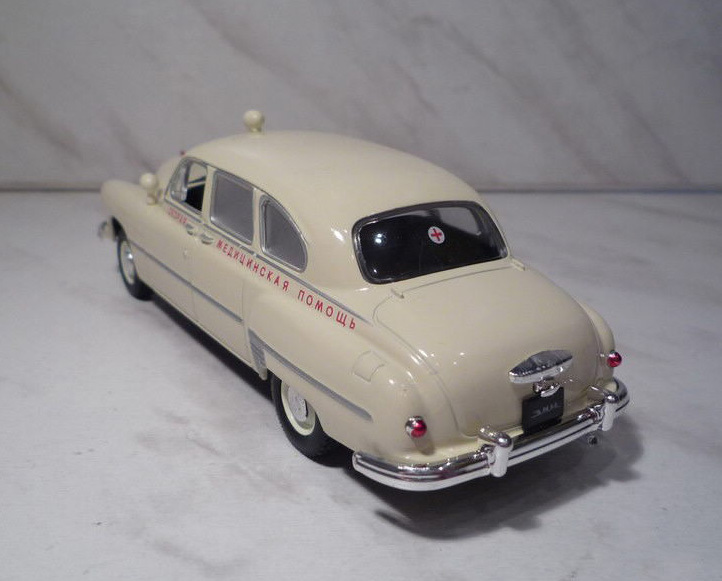 Cars were painted in a light beige color, moreover, apparently different from the conventional sedan external hinges trunk lid, which revealed a large angle and allowed to wheel in the vehicle interior stretcher.